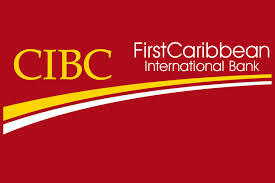 On Monday, August 3rd it was officially announced that Heritage Bank Limited (HBL) is in the process of buying over all assets from Canadian Imperial Bank of Commerce (CIBC)’s First Caribbean International Bank (FCIB). While the deal is expected to take a few months to be completed, HBL believes that this move will secure their place in Belize’s banking industry. But the news sparked controversy, as approximately 60 workers face possible employment termination due to the transaction. Since the transaction is an asset sale only, HBL is not mandated to hold on to employees under the previous administration. “The bottom-line is that CIBC is leaving Belize and once all the statutory and regulatory obligations to effect the sale are finalized, all employees will become redundant. As Rik Parkhill, Chief Executive Officer of First Caribbean International Bank explained, all current employees will be terminated as this is an asset sale only. This translates to some 60 employees left without employment as CIBC is not being merged nor consolidated with Heritage Bank, which on its own accord may elect to hire CIBC employees on a needs basis. All employees are expected to remain fully employed until the sale is final, which may take another three-four months,” said President of Christian Workers Union (CWU) Audrey Matura-Shepherd. “We cannot stop the bank from selling its operation in Belize, but we can work to ensure our members obtain benefits that will assist them to be re-absorbed into the work force, re-trained for other types of employment or become entrepreneurs so they remain part of the productive population of our country,” she ended. And while First Caribbean workers are fretting over their impending dismissal, HBK Managing Director, Stephen Duncan is excited about the transaction as it will open a new chapter for the bank. "I think the best way to describe this is to say that we are excited about what is happening. This is, for us, such a big deal. It is going to double our balance sheet size immediately and you can't scoff at something like that. This represents a growth for us that would have taken us a couple years or a few years to accumulate. So effectively you get a level of growth within, let's say for argument sake, one year that under normal circumstances could have taken four years to accomplish. We intend now to go through a period of consolidation as we integrate this. Which will require us to focus both on our existing customers as well as the new ones that will be coming on board. And I would want to say to the customers of First Caribbean that we will do our best, if given the opportunity and if the deal is approved by the regulators and it goes through, to provide them with the service that they desire and that they deserved,” said Duncan. HBL is one of the smaller banks which only exists in Belize. In a press release, Chief Executive Officer of CIBS’ Regional Operation, Rik Parkhill indicated that they are confident on who they are selling to. “We conducted a strategic review of our business across the region and given the growth path we have identified, we have made the difficult decision to sell our Belize operations. This decision [to sell off the Belize investment] was made easier because of the credible and respected partner we have been able to identify for this transaction [Heritage Bank],” said Parkhill. As of March 2015, First Caribbean had reported assets at $300.3 million and liabilities at $282.9 million. But the sale might not be at the best time. Currently Belize’s banking industry is facing several challenges on international banking as the United States of America’s ‘de-risking’ strategy is causing regional banks to lose correspondence with leading foreign banks. First Caribbean is on its own an international bank, so the selling of their assets simply means that Belize is losing one more international bank. “They say that this is a business decision, clearly they had ceased being as profitable as they used to be and no doubt there are several reasons for that. It’s unfortunate that they are leaving. I’m happy that Heritage Bank is purchasing their assets and will. Clearly, all the employees of First Caribbean will have to be paid their severance and get their full benefits. For those who will be re-employed by Heritage it’s the start of a new chapter. The others that are not going to be absorbed, I hope and believe that they will be able to find jobs in the banking sector, in the financial sector of the country. So we thank First Caribbean for the years during which they did business here, regret that they have to go but express some degree of relief that their departure is not as disruptive as it might have been,” said Prime Minister Dean Barrow. First Caribbean will continue to operate as usual until the transaction goes through, after which HBL management will decide the next course of action.